The National Ramadan Conference has announced that this year’s annual Ramadan fasting commences either on 4th or 5th May, 2019. The announcement was contained in a release from the Office of the National Chief Imam at the end of a five-day conference held in Kumasi. This year’s conference otherwise called the Hillal Committee which deliberates upon the annual Ramadan fasting – one of the five pillars of Islam – has turned 25. The usual two-day period for deliberating on the date for the commencement of the annual religious ritual was extended to five days as a result of the silver jubilee of the creation of the Hillal Committee. 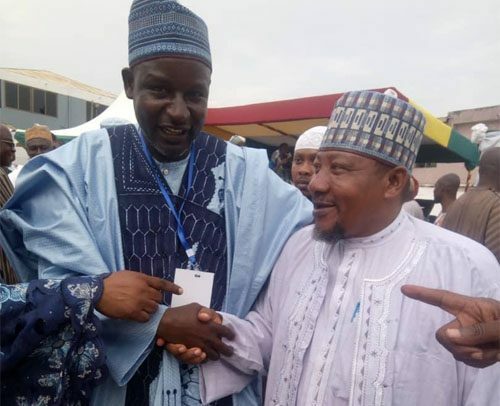 The activities were officiated by the National Chief Imam, Sheikh Osman Nuhu Sharubutu, and the Vice-President’s representative, Alhaji Abubakar Siddick Boniface, Minister of State at the Office of the Vice-President. “It was resolved that Saturday, 4th May, 2019, shall be the 29th of Shaaban (a month on the Islamic Lunar calendar). If the crescent of the moon is sighted, Sunday, 5th May, 2019, shall be the first day of Ramadan. If not sighted, 5th May, 2019, shall be 30th day of Shaaban, then Monday, 6th May, 2019, shall automatically be the first day of Ramadan 2019”, the release disclosed. In the light of the foregone, Muslims around the country have advised to watch out for the crescent of the moon on the dates mentioned; the timeline has been pegged at 10pm. “Any information after that timeline shall be invalid,” the release added. The conference discussed national issues as participants often do and asked in a communiqué that political parties should dialogue and resolve to disband vigilante groups. They charged Ghanaians to unite in the interest of national development and peaceful co-existence. The participants appealed to the government to include Muslims in the Ghana Education Service Council but not on the rotational basis as this, according to them, will enhance the quality of teaching and learning in schools. It was also decided that the National Chief Imam announce the commencement of the annual fast on the national television when the crescent of the moon is spotted.